One of the most common uses of argan oil is as a moisturizing lotion. Being a natural oil, moisturizes, soothes and protects the skin.If you worried about your skin feel oily, try it - you'll be amazed. It absorbs quickly and is light enough to be used even if the daytime face cream, moisturizing so that it can be used as an overnight treatment too.This is a quality product so a little goes a long way. After cleansing your skin, warm a single drop of oil in the palm of your hands. No matter what is your skin type, argan oil can help you.This oil can benefit dry skin with fantastic moisturizing effects.Also can reduce oil production levels of oil skin. As we mentioned earlier, argan oil is ideal for people with oily skin and it helps to regulate the natural production of oil from the skin.Furthermore,argan oil can reduce sebum levels in individuals with high levels of linoleic fatty skin.Argan oil can also help to reduce the inflammation associated with acne while healing damaged skin. Argan oil is perfect for the treatment of a variety of other skin disorders such as eczema, dermatitis, psoriasis and rosacea.It can also be effective in curing small scars of acne (as well as other natural remedies for acne scars) are. With regular use you can get rid of wrinkles, restores elasticity,increase the regenerative speed of healthy skin cells. 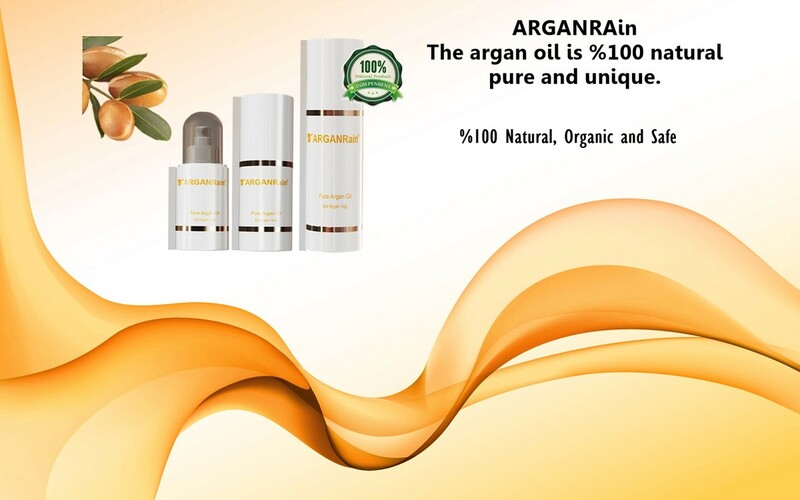 You don't need a hundred of products for your skin treatment.Already you can get all-in-one product.Everything which your skin is needed is just a bottle of Pure ArganRain Argan Oil.